Deepika Padukone and Ranbir Kapoor danced like no one's watching and fans can't keep calm. Recently spotted gracing the event of a brand launch together, actors Deepika Padukone and Ranbir Kapoor looked mesmerising. While Deepika donned a floral Gauri and Nainika wrap dress, Ranbir looked dapper in a grey suit. 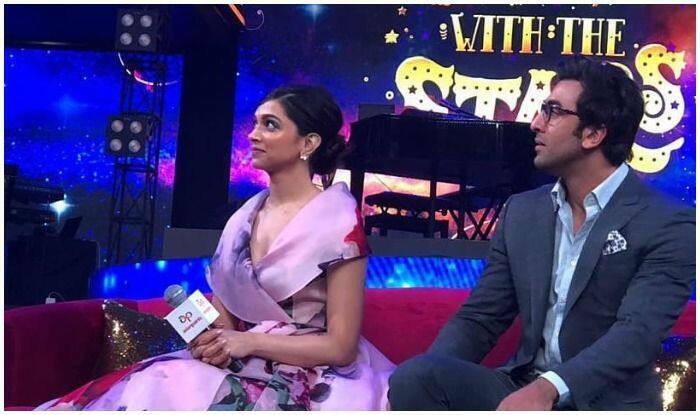 Known for having kept the past behind them and moved on to cordial relationships post their breakup, Deepika and Ranbir looked stunning as they broke into impromptu gigs at the courtesy of the event’s hosts Bharti Singh and Maniesh Paul. In one of the videos that is trending viral across all social media platforms, Tinseltown’s ex-couple are seen shaking a leg to Ranveer Singh‘s song, Aankh Maarey from the movie Simmba. In the shared video, Deepika can be seen energetically grooving and going all out with the funky signature step of the song while Ranbir too kept his otherwise shy profile aside and seemed to be enjoying himself as the catchline from the song played. On the professional front, Deepika is gearing up for her next big release Chhapaak which is based on the life of acid attack survivor Laxmi Agarwal. The actor has started preparing for her role and is currently collecting materials online. On the other hand, Ranbir is gearing up for Ayan Mukerji’s Brahmastra where he will be seen with his rumoured girlfriend Alia Bhatt.